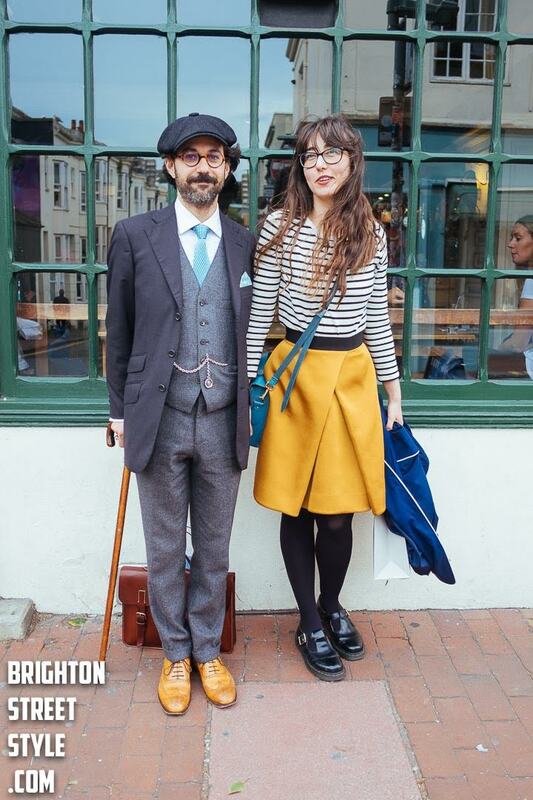 This month's guest bloggers are 'Brighton Street Style'. They kindly agreed to answer our questions on Brighton fashion trends and the stores they love to visit. Having recently spent a few days in Brighton I cannot think of a more perfect weekend destination particularly at this time of year when the crowds have faded away. Wrap up warmly, take a bracing long walk along the sea front followed by a large glass of mulled wine in front of a blazing log fire! What not to like! What are Brightons biggest trends at the moment? The biggest trend in Brighton right now is certainly dungarees, they are everywhere and in all shapes and sizes and on both Men and Women. They are so prominent around the streets that we had to do a write up on them (http://brightonstreetstyle.com/dungarees-and-overalls-the-resurgance). We think this ties in with the overall rise and rise of workwear that we are seeing with the French Worker Jacket being very big as well. What are Brightons best shops? We love Beyond Retro which is the biggest and best vintage shop in Brighton. Wolf and Gypsy Vintage is another great independent store that always has on point looks in the window. For the more mainstream Brighton is also home to some really cool All Saints and Reiss shops. Where are the best areas for fashion in Brighton? Brighton is far from the biggest city and so to be honest the whole of it is good for fashion but the biggest hot spot we have found is right in the heart of the North Laines. If you want to have a good session of people watching and want to see some really cool people get a seat at the Flour Pot Bakery on Gloucester street, we would say about 70% of our pictures come from exactly this spot! What is your favourite aspect of Brighton? Our favourite thing about Brighton is that literally anything goes and anything could happen when you turn a corner. You could be walking down the street take a turn and the next thing you know your in the middle of a food festival or a brass band playing in the park or even just someone dressed up as a sailor walking their dog! Why do you love Brighton fashion? Brighton has it's own 'do-it-yourself' fashion that has limited rules and allows people to express themselves and this is what we love. There is so much variety and expression in peoples style that you can't help but take note of what people are wearing. We also feel that the Brighton streets are at the forefront of trends in the wider fashion world as people push the boundaries and do things their way.